Domino has launched a new thermal inkjet (TIJ) ink that has already found track-and-trace applications in the tobacco industry. The range can be applied to paper, plastic, copper, cardboard carton, film or labels, and as well as offering improved contrast and adhesion, brings “bolder, brighter colours to the range with its new red and blue,” says Domino. 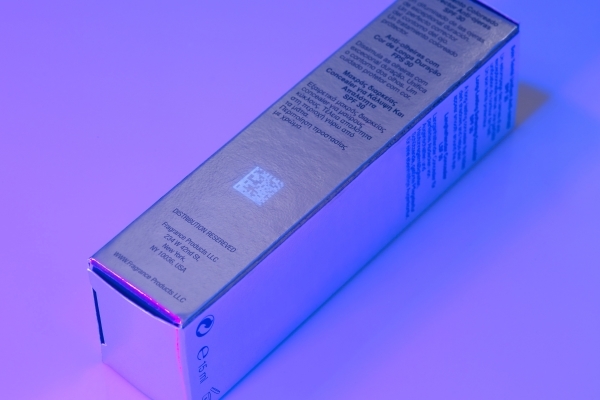 The new clear UV-activated ink (CL125) fluoresces blue when exposed to UV lighting. With the growing implementation of serialisation by manufacturers across industry sectors, the need for high-resolution barcodes and 2D data matrix codes is increasing, according to the company. which says that on fast-moving lines or when the product is processed directly after printing, quick dry times are important. “The new inks expand thermal inkjet’s fit in many more fast-paced packing lines where high-resolution coding at high speeds is required,” says Alexandros Mountis, Domino’s TIJ product manager, who adds that one tobacco company is already using the clear UV-activated ink for internal track and trace purposes.